In the great race to be the top of the animation world, as far as movies are concerned, everyone is merely fighting for second place. Disney (and by extension Pixar) have sat at the tippy top for a long long time. Not that other studios haven’t put up good fight in trying to topple them. Laika studios, for example, has heaved heavy stones it’s way recently, with the likes of Paranorman and Kubo & The Two Strings. Now, they’re back to try again with Missing Link. The first trailer released months ago was cute and this new one looks equally as good. A casual warning though, this trailer is the sort that covers beats from the entire movie, so consider minor spoilers ahead. What do you think, dear reader? Does Missing Link look like a jolly good time to you? What’s your favorite Laika film? Do you think there’s a chance Spider-Man: Into The Spider-Verse knocks the crown away from Disney and walks away with an Oscar in a few weeks? Tell us down below, in the comments. 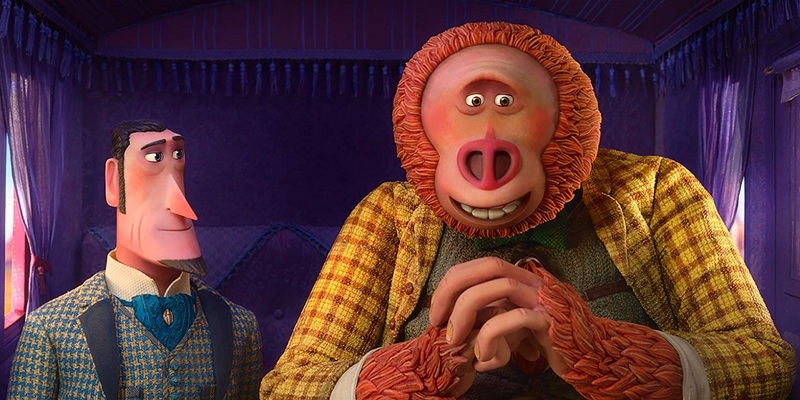 Missing Link clomps its way into theater on April 12. Smack dab in the middle of what may be one of the busiest theatrical months of the year.